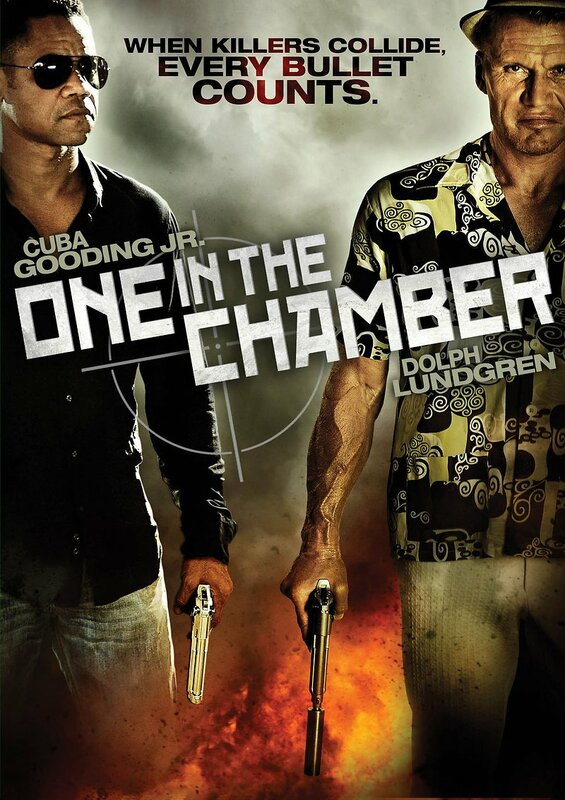 One in the Chamber DVD and Blu-ray release date was set for August 21, 2012. Seeking asylum from the American justice system, criminals from the USA move to Europe after the fall of Communism. Prague becomes the headquarters for many drugs and arms dealers due to the weakened control of authorities. Crime bosses hire assassins to eliminate their rivals. One assassin, Ray Carver, is hired to work for two mafia families and is instructed to kill the brother of a infamous Russian hit man, Aleksey "The Wolf" Andreev. "The Wolf" seeks vengeance for his brother murder by killing the American assassin. Soon both Carver and "The Wolf" realize they are in the middle of a large drug war. The two team up and set out to kill all those involved.